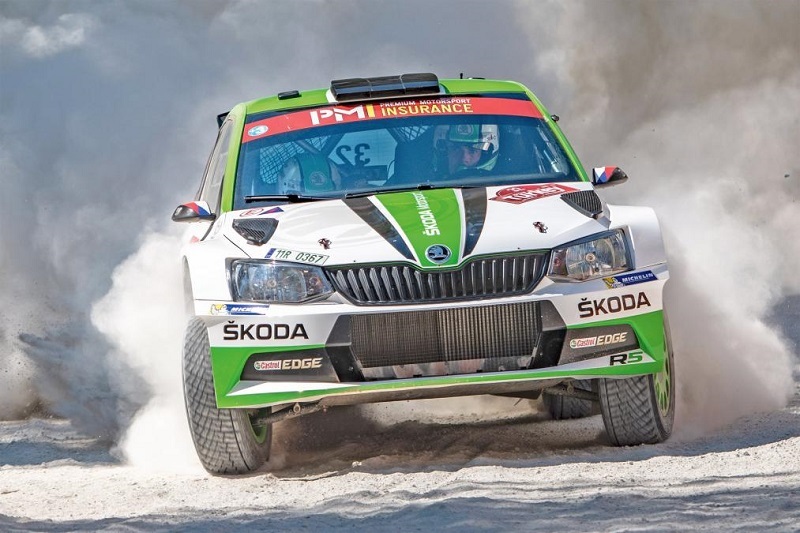 We join Skoda’s works rally team in the Czech Republic for a taste of co-driving You’ve probably heard of multiple World Rally champions Sebastien Loeb and Sebastien Ogier, but what about their co-drivers Daniel Elena and Julien Ingrassia? 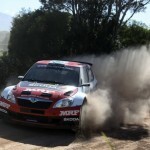 The person who sits in the passenger seat in a rally car is just as vital to the final result as who’s behind the wheel. No driver, however accomplished, can remember the many hundreds of miles of competitive stages that make up a typical rally, which is why you have the co-driver sitting next to them, reeling off a series of sometimes cryptic-sounding instructions about the nature of the route ahead. 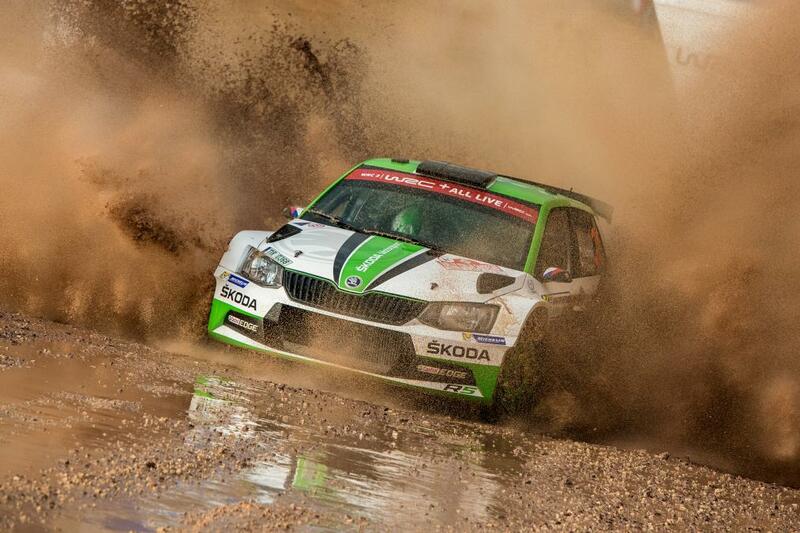 We recently had the chance to join Skoda’s rally team in its native Czech Republic to get an insight into life in the co-driver’s seat. Skoda runs rally-prepared versions of its Fabia supermini in several championships, but also produces hundreds of examples to sell to privateer drivers around the globe.ur trip started with a tour of the newly opened facility at Skoda headquarters in Mlada Boleslav that serves as the nerve centre for the motorsport division, with areas for car building, engine and gearbox development and a stock of spare parts. The following day began with a briefing from Pavel Dresler, who since 2011 has forged a strong co-driving partnership with countryman Jan Kopecky. 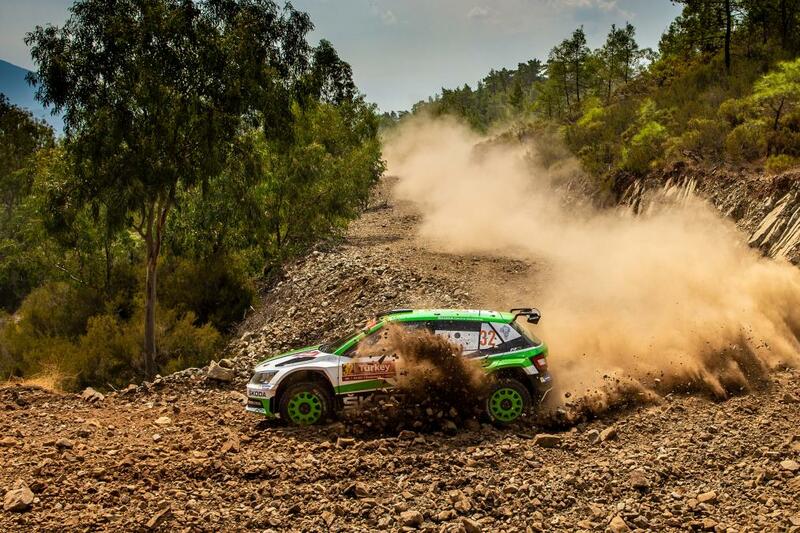 Driving for Skoda, the pair have won a series of Czech national titles, as well as triumphing in the 2013 European Rally Championship, the 2014 Asia-Pacific Rally Championship and the 2018 WRC2 Championship. 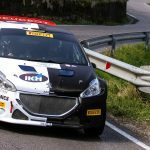 Normally, a driver and co-driver will conduct a ‘recce’ run through a stage at slow speed in a road car ahead of the event, but we had the benefit of working off Dresler’s already-prepared notes for the short, rough forest stage we’d be taking on. So, having written a simplified version to read back, it was into the Skoda Octavia vRS recce car, with Kopecky driving and Dresler in the back seat, to check the notes were accurate. 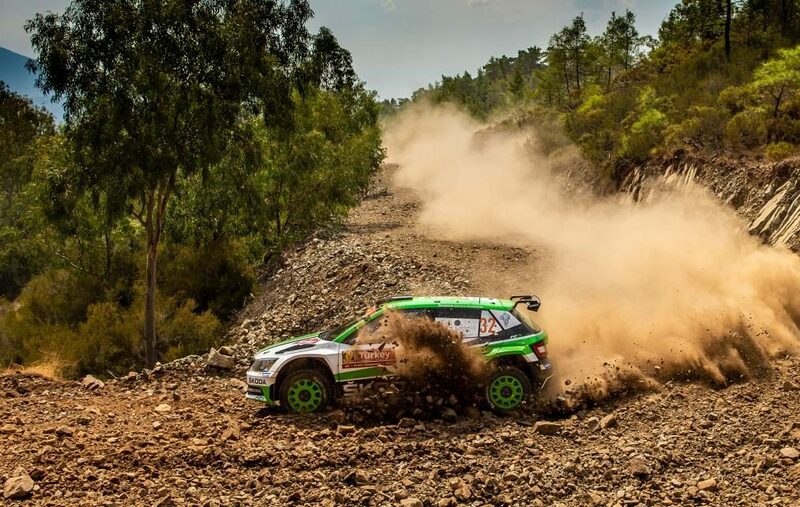 With one or two corrections made, the next step was taking Dresler’s seat alongside Kopecky in the 2018 WRC2 championship-winning Skoda Fabia R5. Perhaps the most startling aspect of co-driving initially is how low down you have to sit, in order to keep the car’s centre of gravity as low as possible. You can barely see over the flocked dashboard and have to rely on ‘feeling’ the corners to keep track of your position on the stage. 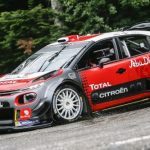 Kopecky announces that he’ll “just warm the tyres ahead of the start”, yawing the car suddenly from side to side and giving it a few quick bursts of roaring acceleration. Pulling up to the start line, it’s down to me to give the instruction for Kopecky to go. With explosive acceleration and a rattle of gravel in the wheelarches, we’re away. Just as if you were navigating for a partner or friend in a road car, as a rally co-driver, it’s vital to give instructions to the driver in good time, so that they’re ready for what’s coming. If you’re not describing the corner 300 metres down the road while the car is sliding through the previous one, you’re too late (and possibly upside-down in a ditch). The visceral speed and noise, and the blurred scenery rushing past the window, become secondary as you become fixated on not dropping the notebook you’re holding amid all the bumps, and not losing your place. 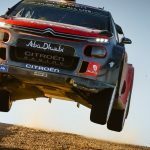 Years of watching on-board rally footage have given me a reasonable idea of what’s expected, but you soon realise that what looks straightforward on a TV screen is incredibly challenging in reality.